Okay, so the Meetup was almost two weeks ago, but I’ve been sick so give me a break! 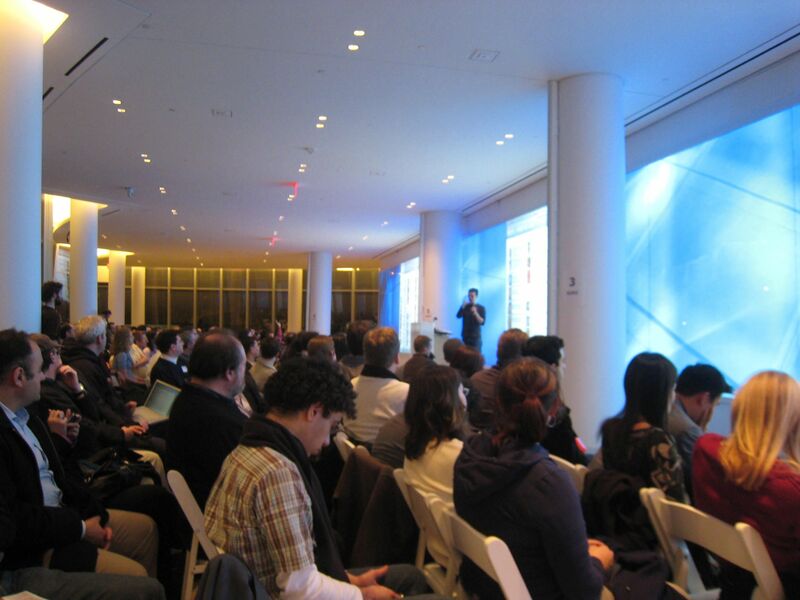 Better late than never to report back from this month’s NY Tech Meetup at the lovely IAC building. Unfortunately I missed the first presentation by Jordan Goldberg, founder of stickK.com so there isn’t much I can say about it. The basic concept is that it helps you to achieve your personal goals — lose weight, stop smoking, etc. — by “putting a contract out on yourself,” the idea being that social pressure will help you stay on track. It got a hearty round of applause, so it’s definitely worth checking out. For the rest of the presentations that I saw, I list them for you here with my evaluation of each. Like in my January 2008 write-up, I’m focusing on two criteria: idea and implementation. Overall the evening was a great opportunity to see so much work in one very important space. Some complained that, while interesting, the event wasn’t true to its purpose because it promoted companies from around the world, not just New York-based start-ups. Having one off-month is no big deal, and I’m sure it got a lot of wheels turning. It got me thinking about the role that usability plays in social action platforms. Perhaps you’ll see something about this from me in the future. See you next month on April Fools. 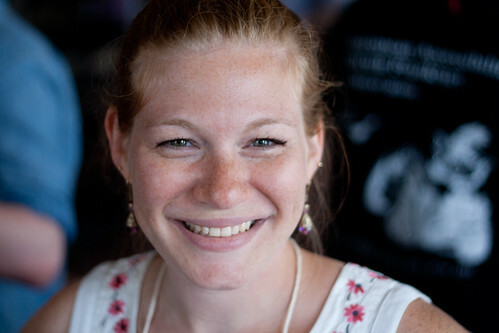 Hi Whitney, Thanks for writing up your thoughts on the March 4 NY Tech Meetup. Just wanted to let you know that we’re working on a new interface / implementation. Please let me know if the new interface is deserving of a ‘woo-hoo’ for implementation!